The Assomption festival and national holiday on August 15 usually marks a summer low for Parisian cultural life, when the city is all but empty of its local inhabitants. Luckily, some are still flying the flag for good quality entertainment even on this late summer weekend – there must be more people left in the city than the rumours would have us believe. Opening up the 700-seater Trabendo on the Assomption weekend, Ice Ice Baby festival offers a classic summer combination of food trucks, free concerts and top notch DJ sets. 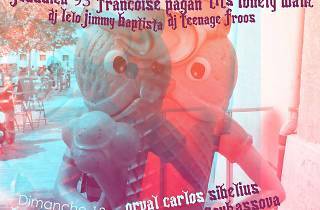 Across the three days you can hear sets from the Crane Angels, Jessica 93, Françoise Pagan and Orval Carol Sibelius, while burgers and hot dogs are provided by After Eleven and Le Camion Qui Fume.